Why Replace Active Directory® with DaaS? Home » Blog » Why Replace Active Directory® with DaaS? There are a lot of variables to this question, but the simple answer is yes: JumpCloud can be an excellent replacement for Active Directory. We all know that Microsoft Active Directory has been the most dominant directory services solution for the last fifteen years. But, much has changed since then and there are many good reasons to eliminate Active Directory from your infrastructure. 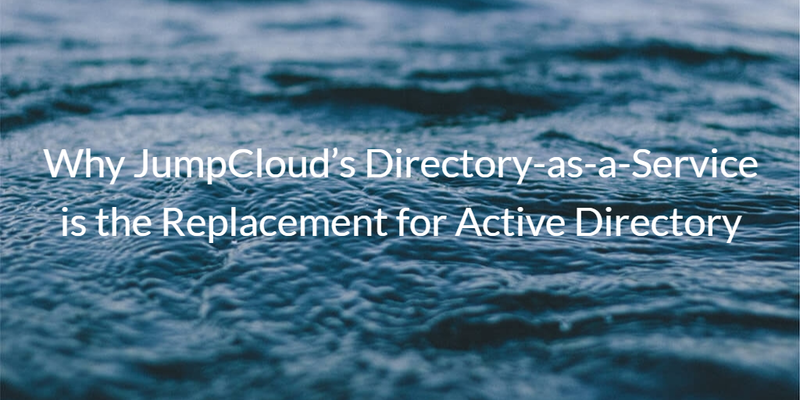 Whether JumpCloud’s Directory-as-a-Service (DaaS) is a replacement for Active Directory for your organization largely depends upon your environment. There are a number of key factors that you should look at when comparing Active Directory and Directory-as-a-Service. Is your organization a Windows shop, or do you have other platforms? Mac and Linux devices have become extremely popular, and many companies have found themselves having mixed system environments because of it. Even if your organization has just a few macOS or Linux systems, you are going to struggle with Active Directory for basic device management. The move to a multi-platform environment is really a part of a bigger transition that impacts how you think about your platforms and their relative importance. 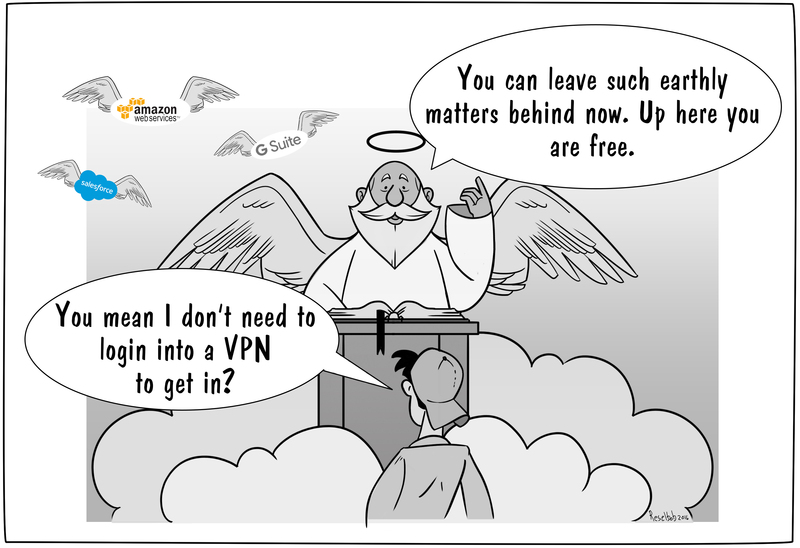 As the cloud emerged, there has also been a change in the way IT professionals think. The thought process quickly shifted to laptops and desktops being terminals. In other words, the devices are the conduit to cloud applications, data, and networks. Contrast this with the old model, in which the hard drive of the device itself played host to those same tools. So do devices still matter? Even if you believe that cloud-based software and infrastructure is more important than the device, it is still important to remember that devices are the vehicle to access all critical tools. This means that all of your sensitive data is accessible through these devices. Without proper management and security measures, the risk of a breach can be unacceptably high. Device management is critical for locking down your data – regardless of if that devices is Windows, Mac, or Linux. Increasingly, IT admins demand management tools that support all three major operating systems. In fact, cross-platform system support is one of the primary reasons that organization’s replace Active Directory with a cloud directory. JumpCloud’s Directory-as-a-Service (DaaS) offers support for all major platforms, allowing your employees to work with whatever devices they need. Is your environment on-prem, or is it in the cloud? Historically, organizations have their data centers on-premises. With the growth of cloud applications and networks though, many organizations have started to move away from this idea. If you have started to shift away from having your infrastructure hosted on-prem, then that is a sign that a cloud directory service is going to be more valuable than the legacy, on-prem AD you may currently have. Are you leveraging SaaS-based applications like Salesforce, Box, Office 365, G Suite (formerly known as Google Apps for Work), and more? There has been a significant shift over the last decade to cloud hosted applications. The benefits of this shift have been significant, allowing for reduced infrastructure, management, and cost. In the past, IT was the group responsible for helping implement major applications to run the organization. These applications – then called programs – would be installed directly onto the system itself, generally a Microsoft Windows system. Today, SaaS applications run in the browser. As a result, whether you are on a Windows or Mac platform doesn’t matter. This approach is called device-agnostic or platform-neutral, and it makes managing heterogeneous environments much simpler. As organizations move to the cloud, IT has come to expect cross-platform support. But Active Directory has struggled to keep up. Directory-as-a-Service is a replacement for Active Directory that covers a large variety of applications and operating systems. With the gig economy growing, and mobile devices and Internet everywhere, it’s no wonder that the modern organization has a global workforce. In fact, many organization’s employees may work at offices around the globe, or not even work from an office at all. 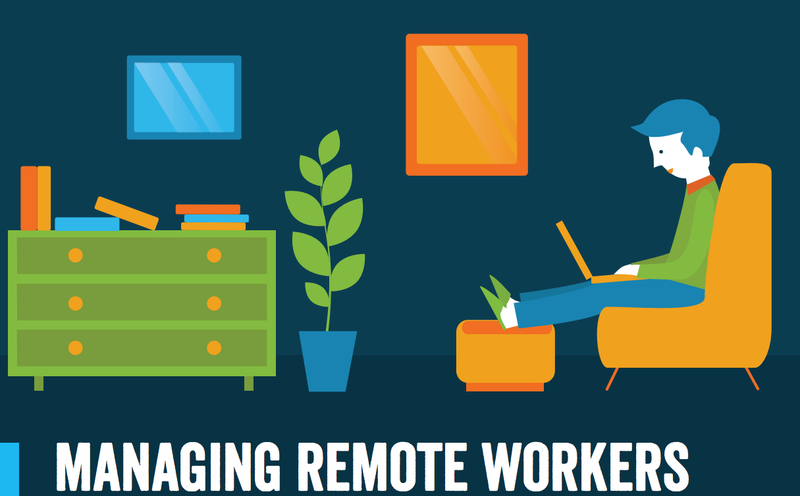 The global workforce has major implications on how an organization manages user access. There are security concerns, productivity problems, and little control over the devices in the field. These issues all lead to working through a virtual identity provider that can authenticate and control devices regardless of where they are. Unfortunately for many organizations, less and less of their users can be managed by Active Directory. Fortunately, the Microsoft AD alternative Directory-as-a-Service is the virtual identity server that organizations need. The innovation of the last ten years has also dramatically impacted the experience and skills required to excel as an IT Admin. The cloud revolution has ushered in an age of browser-based graphical user interfaces that can make once-complicated IT tasks within the realm of a layperson. The degree of training and technical know-how required to implement a legacy solution such as Active Directory is much more advanced. As a new generation of IT admins grows up leveraging cloud-based solutions such as G Suite and AWS. The model of a cloud hosted directory service is a familiar for IT personnel right out of the gate and one that most are very comfortable implementing. If you’re an up-and-coming professional in the IT field, you may be wondering what training to invest in. From our perspective, learning how to implement legacy solutions like Active Directory doesn’t enhance your long-term career prospects. That’s the way of the past. On the other hand, knowing how to run and manage cloud technology is a skill that will be valued in the future. As you think about your organization and how it runs, you’ll be able to make the decision on whether JumpCloud’s Directory-as-a-Service is a good replacement for Active Directory. One general rule to remember is if you are in a mixed platform environment, and care about the cloud, you will find a great deal of success with Directory-as-a-Service as an Active Directory alternative. If you’re all Windows and wanting to stay on-prem, then stick with AD. If you would like to learn more about how a cloud identity management platform can support your organization, drop us a note. Or, alternatively, give our Identity-as-a-Service platform a try for yourself. You first 10 users are free forever.